JK ROWLING was just as stunned as everybody else by the transformation one of the Harry Potter alumni has made. 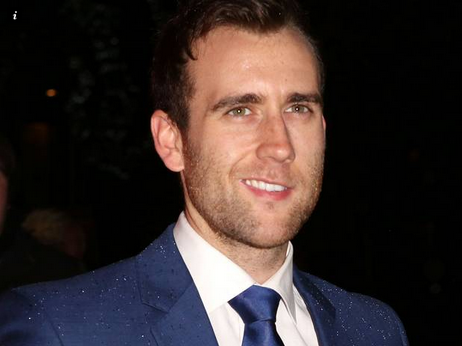 Matthew Lewis, who played hapless Neville Longbottom in the Harry Potter series, stripped off for a photoshoot with Attitude magazine. But the shock of seeing his greased-up torso and quite relaxed posture was all too much for Potter author Rowling. Lewis has made a well-publicised transformation from awkward child to super-confident man. He told Attitude: "I was 21, I was like: 'yeah, this'll be cool!' It was never meant to be a 'hey everyone, look at me!' but it was nice to be able to go and be myself. "And then obviously a lot of attention focused on it, which I didn't expect at all. I've never considered myself to be good-looking at all. Just average." The grande dame of the franchise tweeted her utter, utter shock at seeing former child star Lewis practically naked. Daniel Radcliffe, who played the title character in Harry Potter, stripped off for play Equus in 2008. Lewis apologised, but the damage had already been done. Rowling added that she could hardly bring herself to look at the photographs. Frankly, you can still see the images when you close your eyes.